This is a recognition that, finally, governments and regulators have realised Facebook needs to be regulated. This is despite Facebook, along with fellow tech giants Google and Amazon, spending tens of millions of dollars on lobbying the US government last year. One might consider this very article by Zuckerberg as a piece of lobbying itself. UK politicians have taken a lead in calling for major tech platforms to be regulated and the chancellor has asked the Competition & Markets Authority to investigate whether Facebook and Google have too much power in the digital media market. The word advertiser is never mentioned in Zuckerberg’s piece (except when referring to political ads), but advertising, on which Facebook almost entirely depends for survival, looms large behind this statement. Facebook talks about "expression" in a newspaper article, but when it talks to advertisers it uses "engagement" to say the same thing. Facebook depends on people logging in, posting content, sharing content outside the platform and creating data about themselves. The problem is, Facebook is incentivised to make us outraged as a sure-fire way to keep us "engaged". In order to keep users captive on its platform, the content that yields the highest emotional responses are shared the most and these are inevitable the most controversial. These are the areas that Facebook believes it has already shown it has made progress in terms of lessening harm or increasing accountability. It's harder (at least politically in free-market economies such as the US) to impose new restrictions on those areas where it has been trying to self-regulate. From this week, Facebook is going to start cracking down on white nationalist hate speech, having spent three months consulting with academic experts. One has to wonder with whom Facebook consulted about this for the 15 years it has been in existence. However, Zuckerberg is muddying the waters here. The problem with Facebook is not really about where the line is between criminal behaviour and freedom of expression – something that democratic societies have grappled with ever since mass media was invented. The problem is that Facebook refuses to take on the editorial responsibility that comes with being a publisher. For lawmakers to force Facebook to take on these responsibilities, it would lead to serious costs to its business model. As well as using machine learning to screen for harmful content, Facebook hired 30,000 human moderators worldwide. Whether this is sufficient for a platform with more than two billion users is doubtful. Facebook is willing to sub-contract its editorial responsibilities to regulators, but is it willing to pay national governments for policing its platform? Facebook marks its own homework and wants other tech giants to do the same in order to give that practice more legitimacy. Facebook lobbied hard against GDPR before it was enacted by the EU last year. Now that it has become reality, it may as well say how good it is, and God forbid data protection laws in any other country should get even tighter. Key to avoiding increased competition/antitrust regulation will be showing how Facebook users can take their data elsewhere. 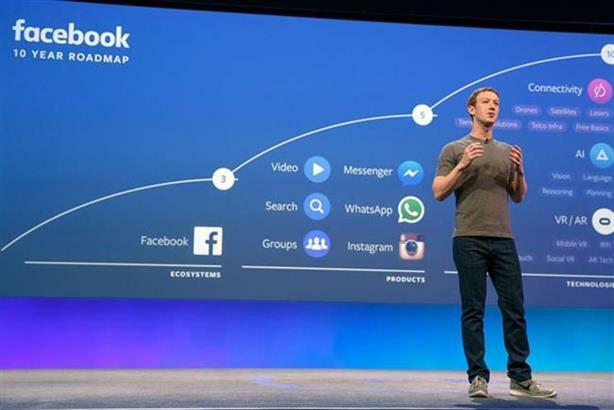 Facebook has a track record of buying out potential competitors before they’ve had a chance to grow (Instagram and WhatsApp). To this end, it has already joined with Microsoft and Google for the Data Transfer Project, which makes it easy for people to move their data from one place to another. Again, Facebook is setting the terms of trade for being regulated, thereby making it more complicated for lawmakers to do it from scratch.